On Wednesday September 6th, the clergy of the Diocese gathered for continuing education at Christ the Saviour in Harrisburg. The topic was Recognizing and Dealing with Substance Abuse in the Parish. The presenter was Fr. 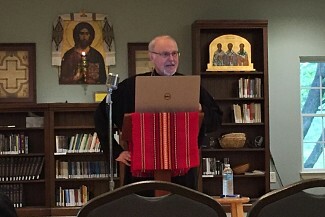 Alcuin Kellerhouse, a ROCOR priest from Pittsburgh who is currently a Doctor of Ministry student at St. Vladimir's Seminary. 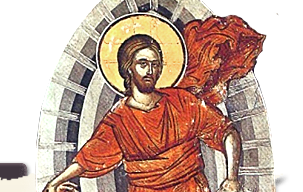 He has had training in and decades of experience as a substance abuse counselor and seeks to put this experience in an Orthodox context, theologically and pastorally, for Orthodox clergy. There was much in the presentation focusing on practical skills and knowledge from which benefited.